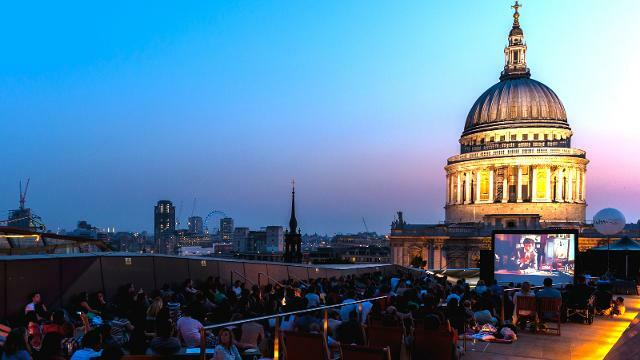 With spectacular views overlooking the entire capital, London’s rooftops bars are not to be missed all year long. 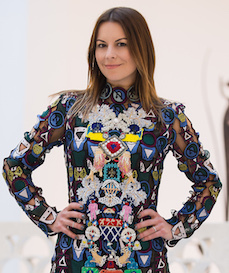 I’ve rounded up my favourite spots for a quick pick me up white wine spritzer with the girls or date night with Gregor. 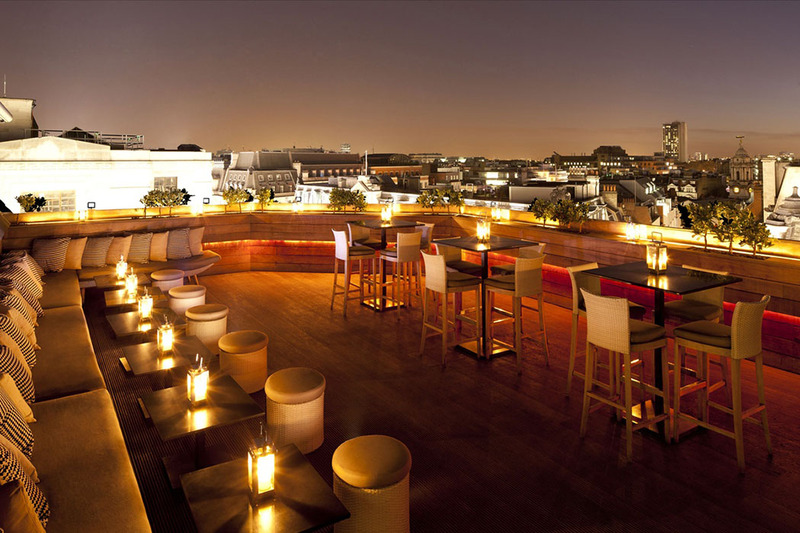 No matter the season, Aqua Spirit rooftop is the ideal date night spot. Open all year long, it’s easy to escape the madness of Regent Street by popping in for a post shopping cocktail or grabbing a meal at one of their two restaurants, Aqua Kyoto or Aqua Nueva. A slick, dark exterior and well-groomed clientele makes it a popular place for enjoying pre-dinner drinks or a night cap. They don’t take reservations so it’s worth going before sunset to guarantee a table. 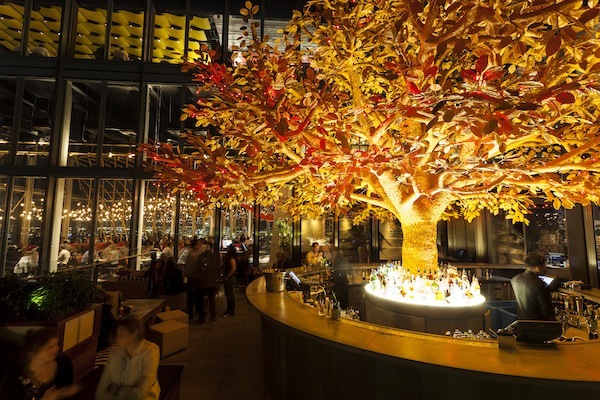 Sitting on the 38th floor of the Heron Tower (making it the 2nd highest restaurant in London), the Tree Bar makes it perfectly acceptable to come to Sushi Samba not just for the sushi. 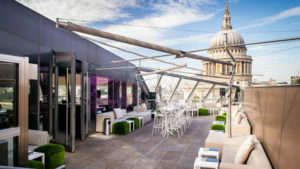 With sensational views of the city, a lively atmosphere and scrumptious cocktails, it completely lives up to the hype and worth the price tag. The whole experience truly starts in the elevator. 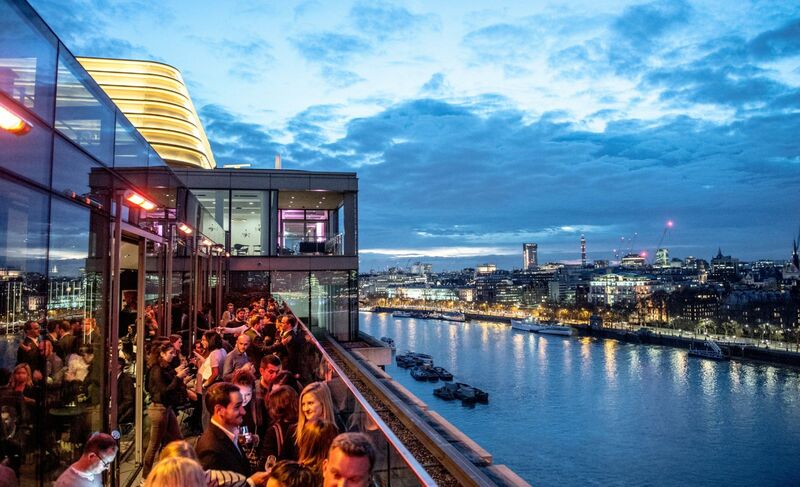 Overlooking some of London’s biggest landmarks, this exclusive party on the 10th floor of the ME Hotel London hosts panoramic views and a guest list just as impressive. 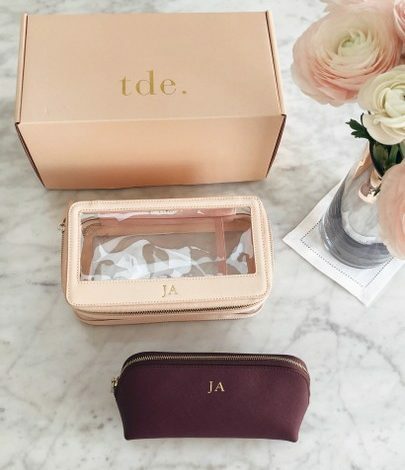 It’s no wonder this is the place to dress to impress. Hosting an array of creative cocktails and Spanish tapas, you can even stop by just for a drink before a night on the town. The rumours are true…there really is a lush, green garden with flamingos in the middle of London. 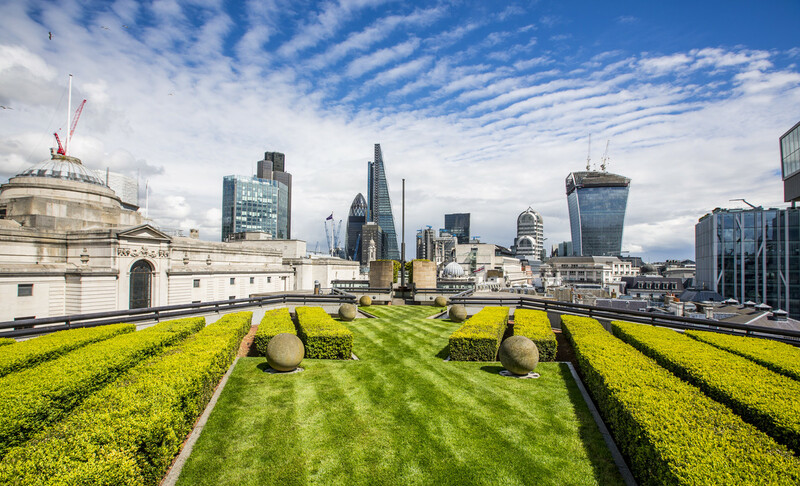 With impeccable service, a live band and the best glass of bubbly you’ve ever had, The Roof Gardens is the upscale, British way to Saturday barbecue’s. From 10pm onwards, the flamingos may be sleeping, but the venue is nothing short than an exclusive party spot. Known as one of the most stylish bars in London with pink banquettes and sea-blue chairs, the Rumpus Room atop the Mondrian is the perfect mix of modern luxury. Heading East doesn’t always mean small, local, hipster lounges. 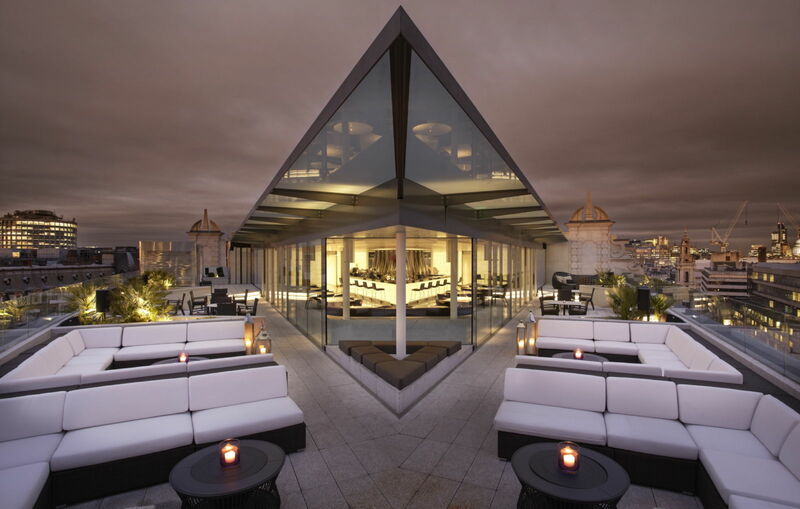 Boundary’s rooftop atmosphere brings a whole new meaning to drinking alfresco in the heart of East London. It could be the spectacular views or the neatly trimmed lawn and vines, but there’s no denying where the upscale city heads go for after work drinks in the summer. 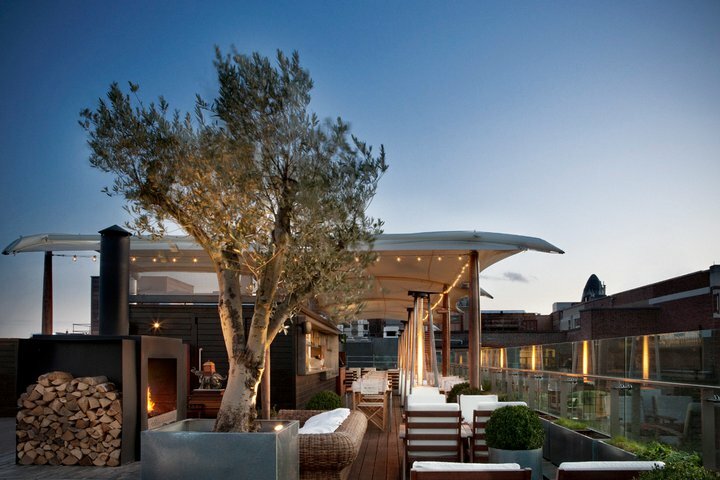 Attached to a Michelin star restaurant, enjoy a glass of champagne among the most elegantly landscaped rooftop garden. 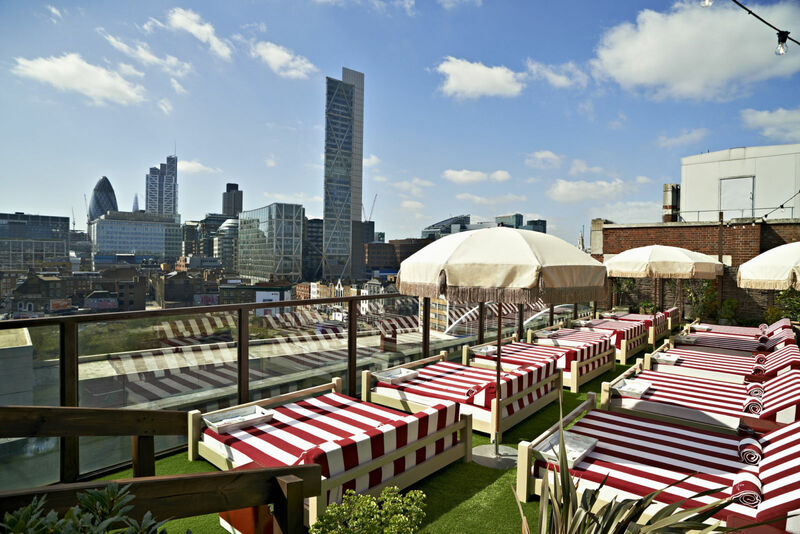 The Soho House Group is one of my favourite private members clubs, but its’ Shoreditch House holds a rooftop pool with parties like no other. This chic East location is the perfect spot to sun bathe on a lounge bed and pretend you’re in Miami. With the most spectacular view overlooking the dome of St. Paul’s Cathedral, you’ll never feel this close to a national landmark at night. Outdoor seating and popping dj’s make you want to stay here all night long. 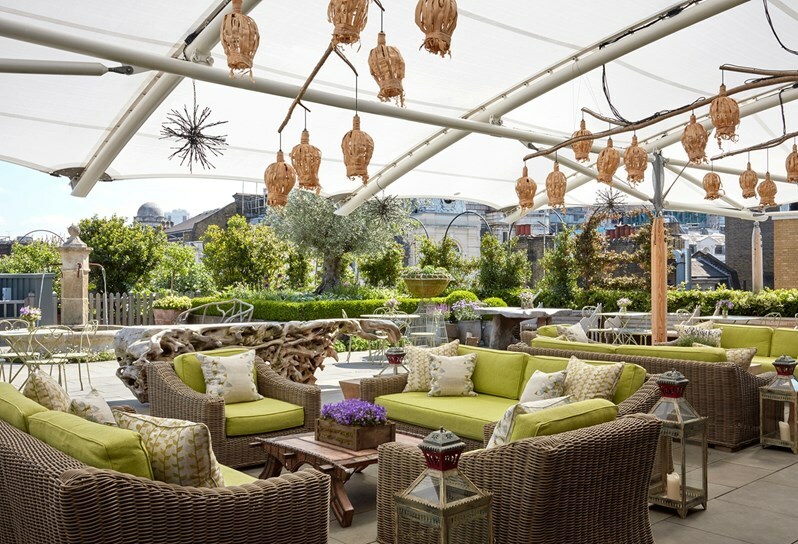 Open only for private hire or overnight guests, this exclusive roof terrace offers beautiful views in the middle of Soho in what gives off a “secret garden” experience.